Machine UI, or just "Machine" as it's commonly referred, is an IDE for Machine Learning, which is currently in its Alpha stage. 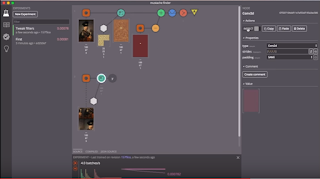 It has been designed to work with TensorFlow, and aims at simplifying setting up machine Learning experiments so that you spend more time experimenting, and less time configuring. As per their announcement video, the machine learning experiments are set up visually. The input data, convolutions, and the outputs are placed as nodes on a graph. You can think of it as a more interactive version of the Tensor Board which comes with TensorFlow. 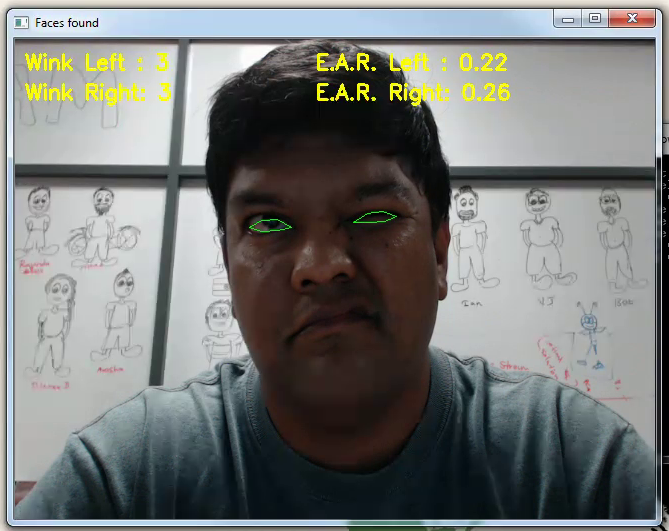 A couple of weeks ago, I was going through a tutorial for eye blink detection by Adrian at PyImageSearch. It was an excellent tutorial, which explained the use of Eye Aspect Ratio (EAR) in order to detect when an eye gets closed. Then, few weeks back, I was having a chat with Shirish Ranade, a reader of this blog and a fellow computer vision and machine learning enthusiast, on whether we can perform an action by winking at the computer. So, I decided to try out a code to detect winking. It's an interesting idea to perform an action or a task just by winking at your computer. It can be thought as a form of gesture detection or facial expression detection as well. So, here's how you can build your own 'wink' detector for it.